Not exactly your average SUP racing location but it still attracted a solid bunch of paddlers. Glynn dominated, winning the main event as well as claiming the sprint race ahead of Spain’s Belar Diaz. World-beater Annabel Anderson was also on the lake, beating most of the men on her way to an overall top 10 finish in the 20k’er. However the Kiwi was, for once, not the top female over the line, though in fairness she was paddling a much shorter board than line honours winner Heather Devito. 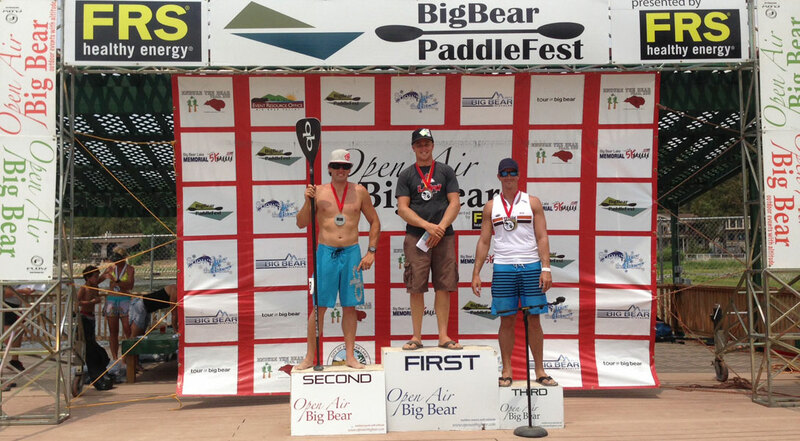 Looks like it was a fun event, so scroll down for the full results from the 20k, 10k and 5k SUP races (hey look! the U.S. finally discovered the metric system!). “The Big Bear Paddlefest was a very well-run event next to the beautiful Big bear Ski resort at 6700feet (2042m for us metrics). The organization has been running this event for a few years, and over the last few SUP has made an appearance. The main race was the 20km long distance, where prizes were an equally divided cash purse of $500 for the first paddlers over the line; interestingly enough two stand up paddlers took top honors in front of all the kayaks and even some surf-skis (although they did give us a few minutes head start). 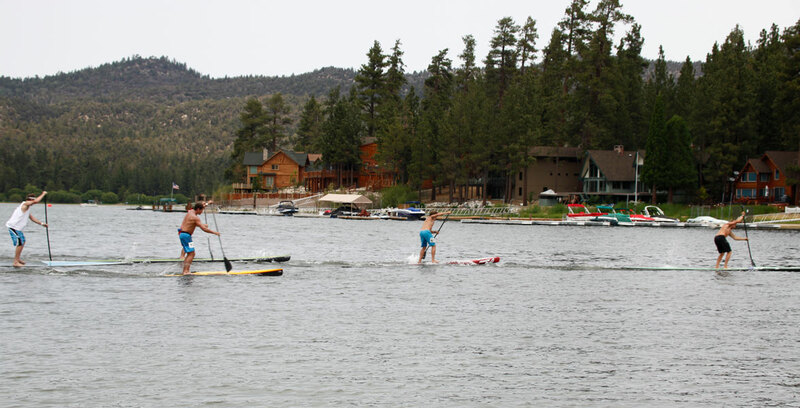 Big Bear PaddleFest wasn’t a big race, but names like Chuck Glynn and Annabel Anderson certainly added some talent to it. 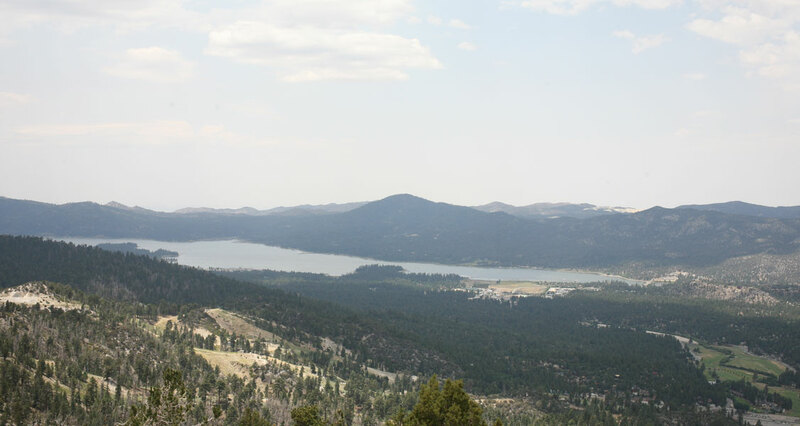 The course was simple, go around the lake and finish at the same place that we started; the biggest obstacle were the ever present weeds that in my case forced me off the board five times. The field was almost all Unlimited boards, and to nobody’s surprise Chuck Glyn took the overall win.